Say what!?! Yes you can make your own toothpaste to remineralize your teeth. But why would you do that when you can just go get toothpaste at the store and you go to the dentist regularly? Simple answer, the modern diet does not provide enough minerals like it should. Enamel the hard coating on the outside of your teeth doesn't have the ability to regrow but they can self-repair or remineralize. Think about it for a second. There have been accounts of field researches reporting from isolated populations the almost perfect structure and whiteness of the teeth of these people who had no contact with a modern diet. We have moved away from eating properly balanced diets, even if we eat a diet high in vegetables and unprocessed food the soils that these foods are grown in still don't have the nutrients that we need. Oh my gosh your thinking what am I suppose to do! Well if you are not prone to cavities or have never had one in your life then high five and keep up the good work! If don't fall into this group you can always help things out a little on top of your current oral hygiene routine. 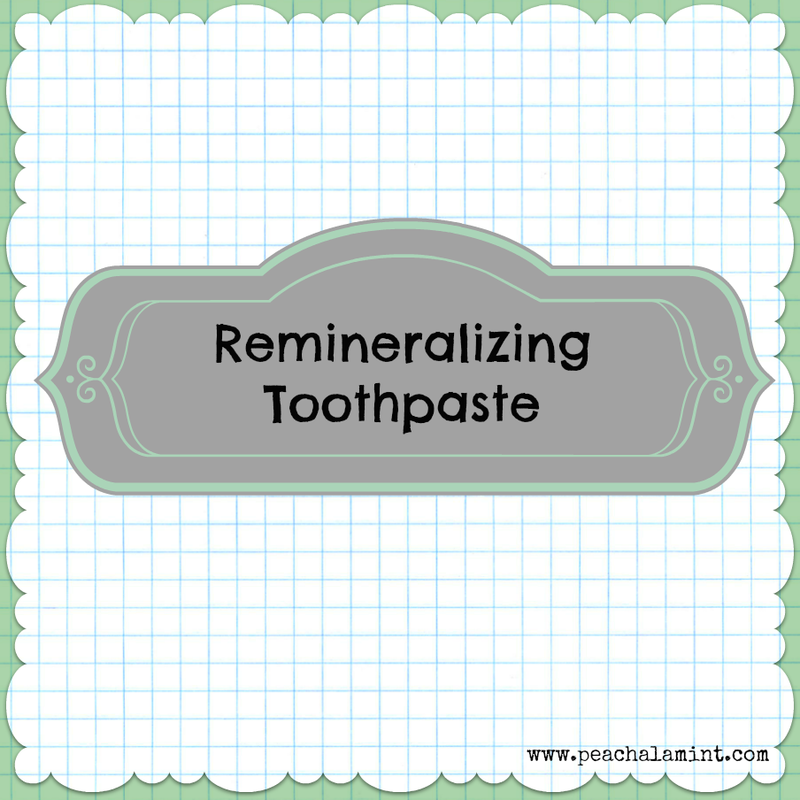 Give it a boost by making a remineralizing toothpaste. There are quite a few different recipes that you could make. I took the recipes I found and did a little research on each ingredient what the benefits were and then also looked at the cost of each ingredient. I wanted the final product to be useful and cost effective. You will want to mix the first three ingredients together with a hand mixer. Once everything is well blended mix in the Trace Minerals and the essential oil. You are probably wondering why honey? Isn't that going to be bad for your teeth? Raw honey actually has anti-bacterial and anti-inflammatory properties. Anti-bacterial is definitely a good quality in a tooth paste and it adds that sweetness that we have come to expect in our toothpastes. A few recommendations: my original recipe included a 1/4 tsp of sea salt. The trace minerals are pretty strong so I felt like the sea salt was too strong for me. I also would only stick to the minty essential oils. I currently have my toothpaste in a small mason jar in my medicine cabinet. I do stir it up every few days since the coconut oil likes to settle towards the top. I use this toothpaste once a day for my night time routine.